If you're a fan of our stag heads, we have some different for you. This bull's head is an impressive fellow. 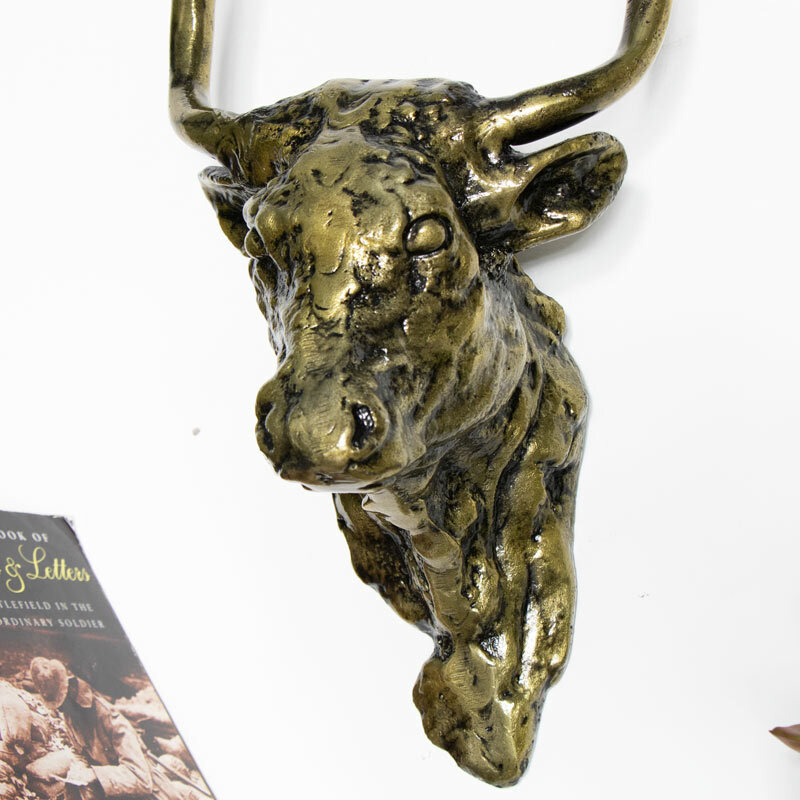 Finished in a rustic brass that makes him very distinctive, the metal design creates a wonderful industrial feel. Display proudly on the wall in the living room or hallway to make a great focal point. 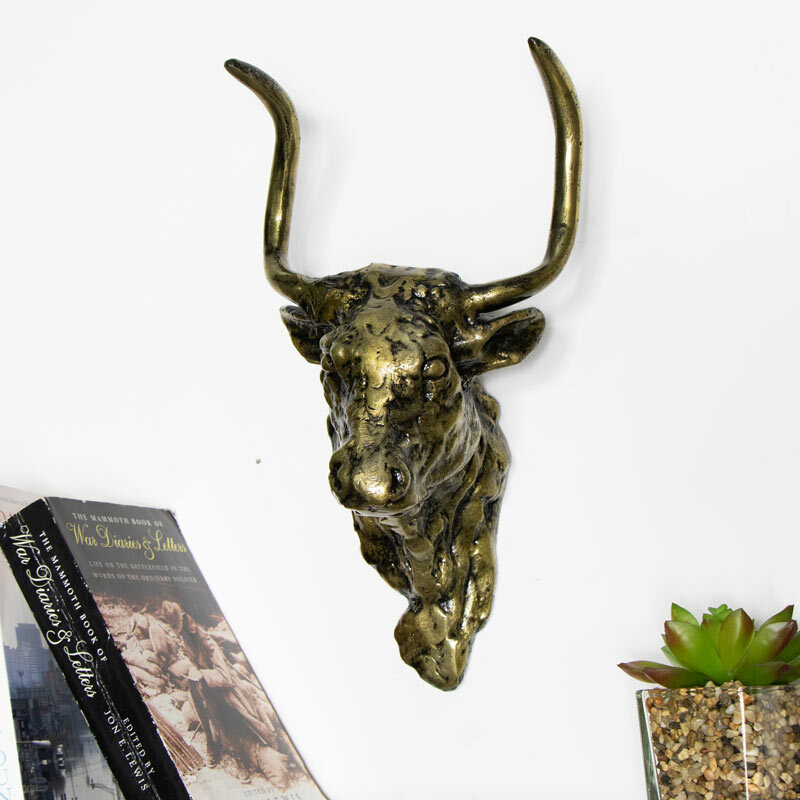 Decorative and quirky, this bulls head is an animal friendly alternative and a great addition to our fantastic selection of wall mounted animal heads.